Reduce costs and simplify instrumentation at treatment plant headworks. 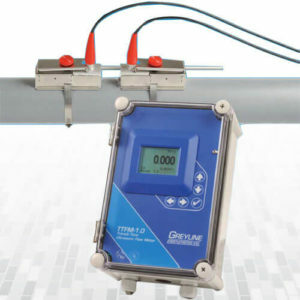 The DLT 2.0 can measure both differential level plus flow through a flume. 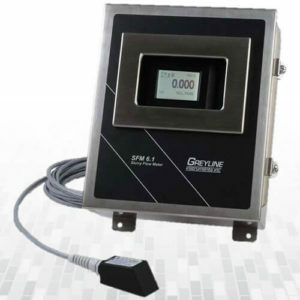 Install one Sensor on each side of a mechanical barscreen to continuously monitor, transmit and control level. Use the built-in control relays or 4-20mA outputs to automatically activate the barscreen rake at preset levels. 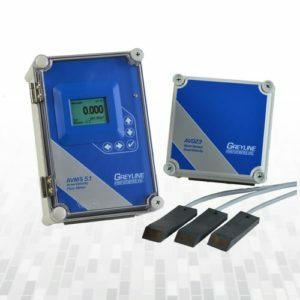 The DLT 2.0 is a simple solution for barscreen level control at wastewater treatment plants, pump stations and combined sewer systems. 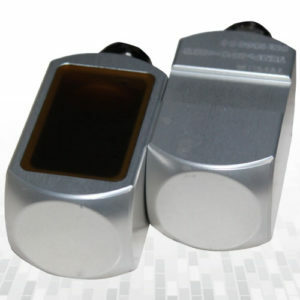 It includes two non-contacting ultrasonic sensors to measure level. 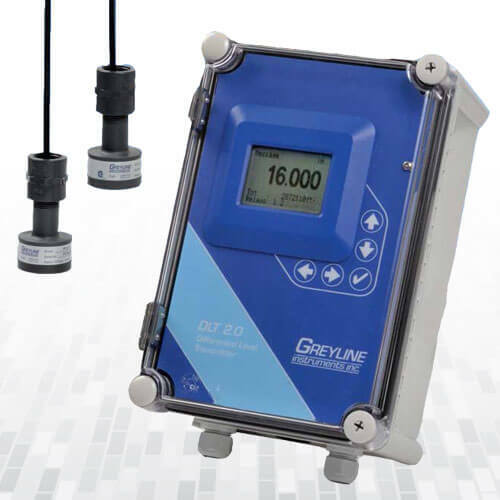 With sensors positioned above a channel, up and downstream from the barscreen, the DLT 2.0 can display and transmit differential level. 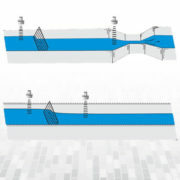 The downstream sensor can also be installed above a flume or weir to measure and totalize open channel flow. 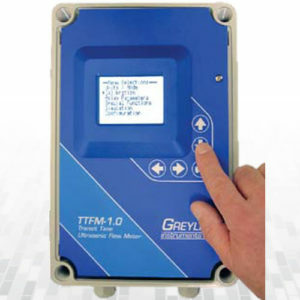 Three 4-20mA outputs are configured to transmit upstream level, downstream level (or flow) and differential level. Built-in relays can be calibrated for level control, differential level control or open channel flow. include two-tank inventory where you can monitor level in two tanks with one instrument. 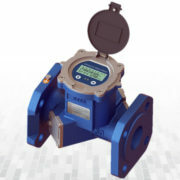 The DLT 2.0 will alternate display of level in both tanks plus transmit 4-20mA outputs. Use the built-in relays to activate alarms or level controls. 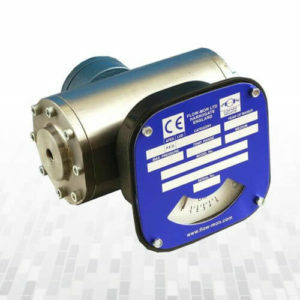 This versatile dual-sensor instrument can also be configured as a submergence alarm for Parshall flumes. 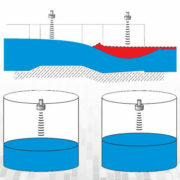 Two-Tank Inventory Monitor level in two tanks with one instrument. The DLT 2.0 will alternate display of level in both tanks plus transmit 4-20mA outputs. Use the built-in relays to activate alarms or level controls. 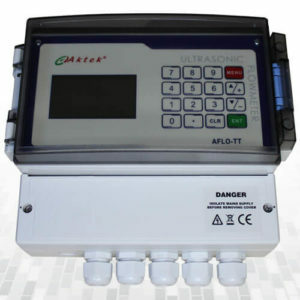 Calibration is easy with the DLT’s built-in keypad and menu system. 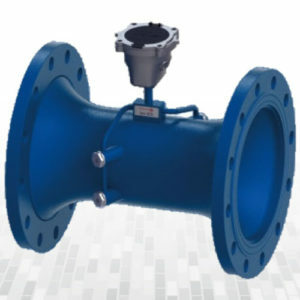 Submerged Flow Alarm Parshall flumes can provide accurate flow measurement with the discharge submerged up to 70% (depending on flume size). 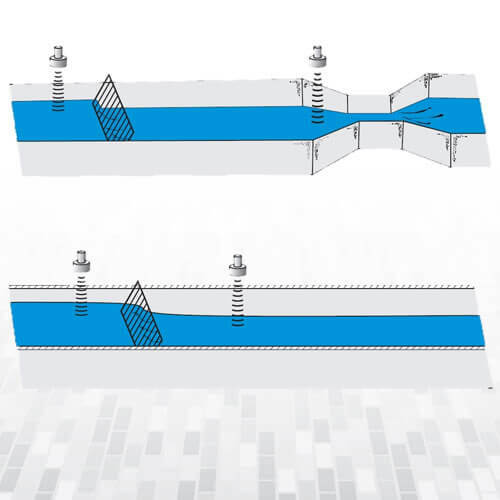 Use the DLT 2.0 to measure flow through the flume and to activate an alarm when discharge level reaches critical submergence level. 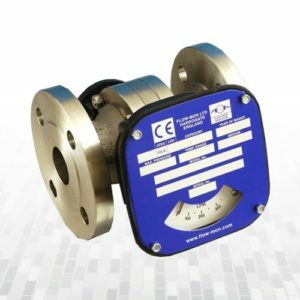 Outputs: Three Isolated 4-20mA (upstream and downstream level (or open channel flow) and differential level, 1000 ohm load maximum. 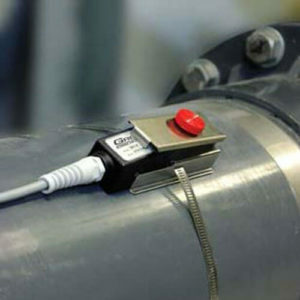 Ultrasonic sensors are mounted at the top of a tank or in a position above the liquid being measured. 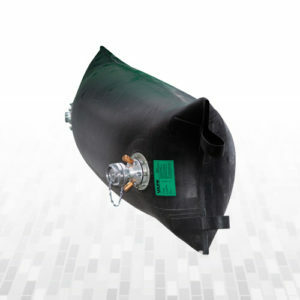 The sensor continuously transmits pulses of high frequency sound (typically 42 kHz) which travel away from the sensor, hit the surface of the liquid and return to the sensor. The instrument electronics measure the time it takes from transmitted sound to return of the echo. With reference to the speed of sound in air, the exact distance of the liquid surface from the sensor can be calculated with high accuracy (±0.25% of maximum range). 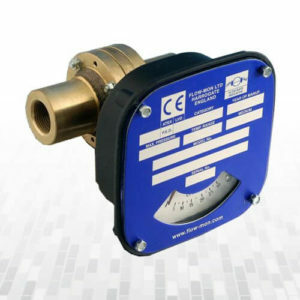 Since the speed of sound is affected by air temperature, ultrasonic level sensors include a built-in temperature sensor. Level/distance measurements are automatically temperature compensated throughout the operating temperature range of the sensor. 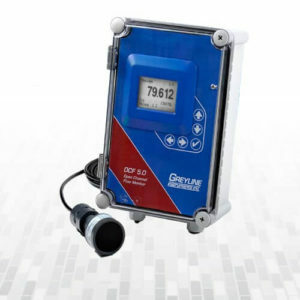 The sensor should be positioned so that it has a clear "view" of the liquid surface and away from ladders, pipes or other obstructions. Greyline recommends 1 ft. from the sidewall for every 10 ft. depth (300 mm for every 3 m depth). False echoes from agitators (sweeping under the sensor), turbulence and waves can be filtered and disregarded by the instrument. These pipe stoppers are used for sealing of egg-shaped sections. 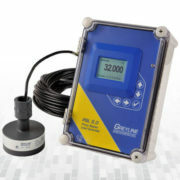 Sandwich Insertion Ultrasonic Water Meter is a new style water meter specially designed for agricultural irrigation, Garden Management and water resource supervision. Low cost, high accuracy, low power consumption, stability and reliability. 1 inch thickness of the meter helps to save installation space, and parts to achieve IP 68, enable the water works in any severe environment .